Attempting to build something socially conscious is usually frowned upon at Fintech (i.e. money focused) hackathons. 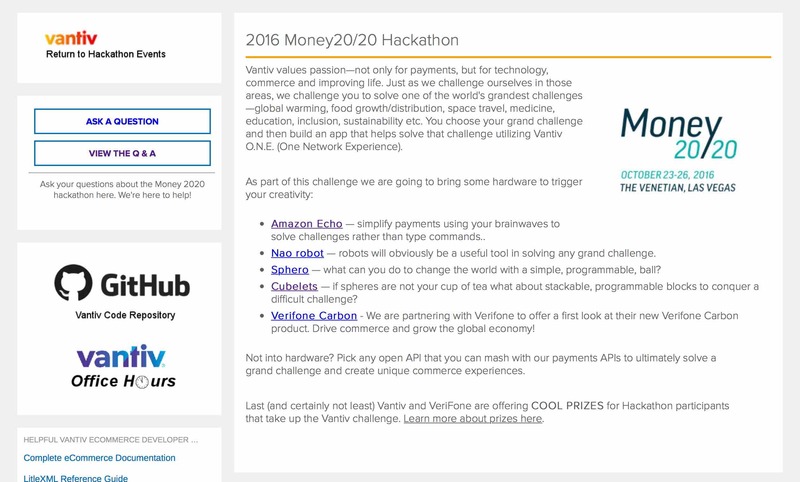 I happened to be at the Money2020 2016 Hackathon (which is arguably the biggest one around) last weekend and the vibe was pretty much as I had expected. However, one of the challenge sponsors Vantiv had an interesting and somewhat different take on what they wanted participants to build. 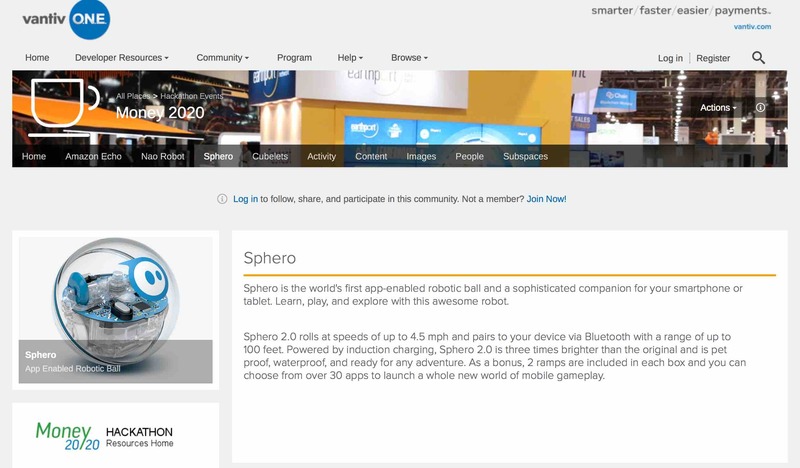 The thought of using a Sphero to create something useful was enticing enough for me to take up this challenge and so I ended choosing to work on the Vantiv challenge. My hack was called Adjutus – latin for ‘helping someone in need’. 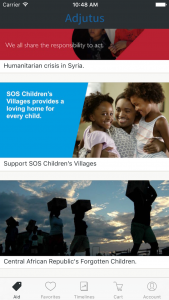 My hope was that Adjutus could enable impulse giving by using non-traditional touch points such as proximity or location aware mini robots (such as Sphero) to encourage potential donors to help support rehabilitation efforts geared towards children affected by some of the most recent humanitarian crises around the world. 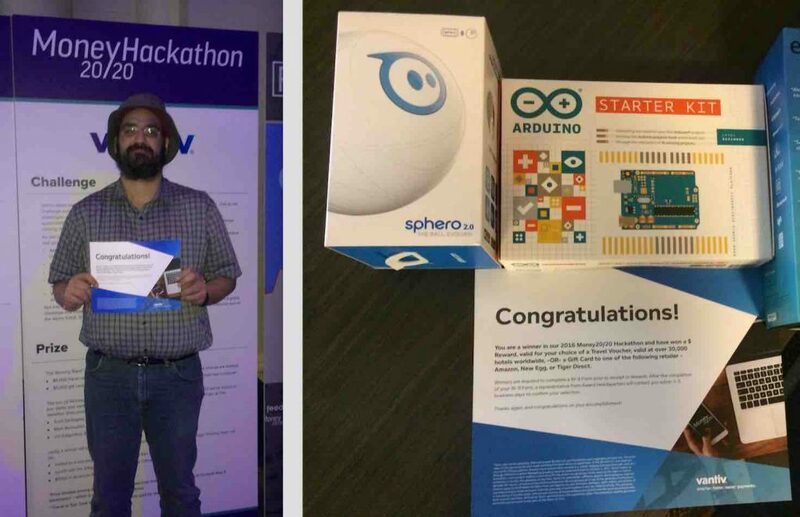 My expectations about the viability of my end product were significantly scaled down given that I ended up being a one-person team and was competing against more than 400+ contestants comprising 100+ teams. So it turned up to be a very pleasant surprise after a sleepless 40+ hours when I ended up being selected as one of the Vantiv challenge winners and also selected as an overall Money2020 finalist to pitch on stage.